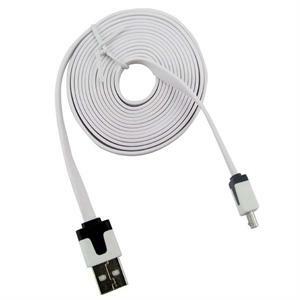 Home > Adapter > USB-to-Micro USB adapter cable, 6 foot, heavy duty noodle reinforced. USB2.0 to micro USB adapter cable, 6 foot length, heavy duty noodle-type wire with reinforced plugs. 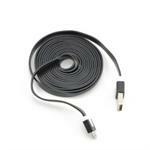 Fits cellphones suchas Samsung, LG, HTC, Moto., & many more. Enables charging & data transfer. Available in BLACK color or WHITE color with contrasting trim.